Good location, nice suite Friendly check in staff, nice big suite and great price. 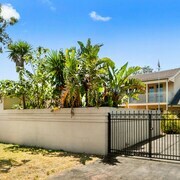 The location is good, within walking distance to shops and restaurants. Very comfy big bed. Generally ok Great staff. Balcony was covered in pine needles. Smoking ok on balcony but nothing to sit on. Water pressure excellent.Room condition good. Using your suitcase as storage instead of an actual suitcase? 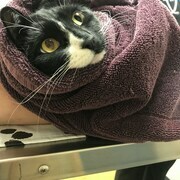 Beginning to look like your passport photo? It's time to put in your leave. 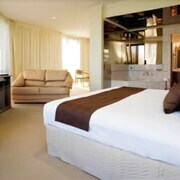 Get yourself to Frankston and select from 6 accommodation options within a 5-kilometre radius of of the centre with the help of your pals at lastminute.com.au. 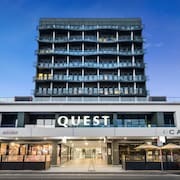 Forget FOMO — you won't be far from the happening city centre if you book a room at the Quest Frankston on the Bay and Best Western Frankston International Motel. The neighbourhood of Frankston South is only 4 kilometres from the centre of town. However, if you'd like to set up base here, you better get to it! The only hotel available is the Frankston Motel. There's always something appealing going on at Frankston Arts Centre. If you enjoy being immersed in all things creative and artistic, you'd be crazy to miss it. The most awesome news is you can set yourself up just around the corner! 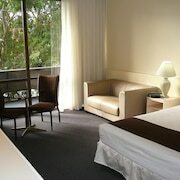 The Quest Frankston and Beach Motor Inn Frankston are a couple of awesome hotel options close by. You might also like to try the Lindenderry At Red Hill, which is situtated 25 kilometres away. Or otherwise you might prefer the Park Avenue – Glenview Glen Waverley, just a distance of 30 kilometres from Frankston. If those choices don't suit, you may prefer the Park Avenue – Glen Central or the Park Avenue - Mount Waverley. Don't shoot through before you've gone to the B'Darra Estate Vinyard and the Devil Bend Golf Club in Mornington. Some of our recommended Mornington hotels and accommodations are the Norwood House Motel & Reception Centre and Mornington Hotel. 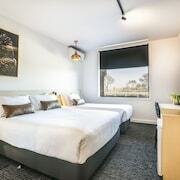 Or, you could stay in Tyabb, 15 kilometres to the southeast of Frankston, where you can choose from the Harbour View Motor Inn and The Peninsula Motor Inn. Moonlit Sanctuary Wildlife Conservation Park and Hastings Foreshore Reserve are popular sites to check out for those visiting Tyabb. After being on a plane for hours, there's nothing like a bubbly bath followed by a nap in a cosy bed. 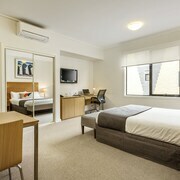 So why not snag a room at the PARKROYAL Melbourne Airport or the Holiday Inn Melbourne Airport? Each is a stone's throw from Tullamarine Airport, which sits 60 kilometres from Frankston's centre.